Just a few words that describe this fresh young talent. Alison joined the photography team at the Philly Event Group in 2011 after more than two years at a well known photography studio in her home town of Burlington, VT.
First hired as a Production Assistant, Alison quickly mastered every facet of our studio production and is now our Photography Studio Manager as well as one of our brightest star photographers. 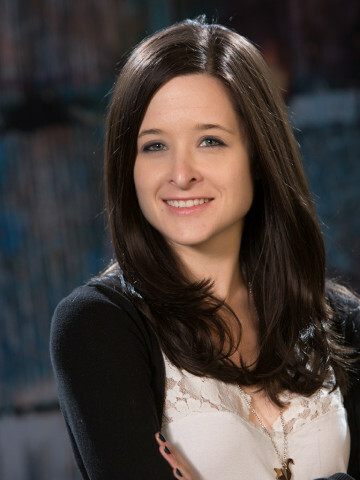 Alison is the most booked photographer at PEG thus far in 2014, and her Fine Arts Degree from the School or Art & Design at Alfred University truly shows in her technical foundation when compared side by side with the area’s top photographers. Alison’s work truly stands apart. Specializing in Bar and Bat Mitzvahs, families and portraits of pets, Alison keeps her sharp and creatively challenged. She strives for images that are very natural and relaxed that do not look posed. Alison is wonderful at capturing the moment without having to ask everyone to smile for the camera. As our Studio Manager and the most detailed oriented person in the company, Alison will work with you every step of the way in the planning of your event until the last photo has been chosen for your custom made album. Alison’s photography packages are VERY competitively priced. Please ask about special deals on photo novelties & photo booths when she is your photographer.